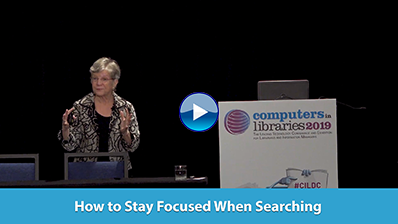 With librarians dealing with constant changes — in formats, budgets and expectations — it’s time to find new strategies for making the best research available to users. From organizing back-end workflows to creating a better search experience for users, EBSCO is here to help. Learn how EBSCO customers are handling their library’s most important tasks at www.ebsco.com/stories. The face of online privacy could change dramatically if legislation recently introduced in Congress becomes law. Two proposals, House Bill 1528 in the House of Representatives and Senate Bill 799, would provide for a privacy "bill of rights" covering the online gathering and use of personally identifiable information. The bipartisan bills have quickly generated praise, but they have also generated concern from consumer advocates and industry groups. AcademicPub, a unit of SharedBook, Inc., launched the first custom publishing option for the real-time delivery of copyright-cleared course materials to the higher education community. AcademicPub is targeted to faculty and administrators who desire to create custom course materials at a reasonable price for students, by combining authoritative materials from 21 academic publishers with web content, as well as material the educators create themselves. EBSCONET ERM Essentials, EBSCO's e-resource management system (ERM), now includes a highly customizable reporting feature that allows librarians to build, save, and share a broad variety of eresource reports. With flexible report options, librarians can personalize reports to see the specific data they need. To help with day-to-day collection management, favorite reports can be saved and made available for other staff to run at any time. Although not suited for even a "small" public or college library, LibraryThing sometimes serves as the system of choice for the very smallest institutions: schools, churches, nonprofits and so forth. Some of these institutions want to preserve an "upward path" to a traditional, low-end Integrated Library System (ILS). LibraryThing does what they want for now, but it may not forever. To meet this need, LibraryThing just released a feature that will allow users to export their LibraryThing library as MARC (USMARC, UTF-8) records. Users will find the Export as MARC option now on the Import/Export page, accessible via the "More" tab when they are logged in.